What’s the story with Photoshop & multi-core? Much has been written about the fact that the speed of individual CPU cores isn’t increasing at the rate it did from 1980 through 2004 or so. Instead, chip makers are now turning to multi-core designs to boost performance. (See this brief primer from Jason Snell at Macworld.) Thus a lot of people have been asking whether Photoshop takes advantage of these new systems. The short answer is yes, Photoshop has included optimizations for multi-processor machines (of which multi-core systems are a type) for many years. What may not be obvious to a non-engineer like me, however, is that not all operations can or should be split among multiple cores, as doing so can actually make them slower. Because memory bandwidth hasn’t kept pace with CPU speed (see Scott Byer’s 64-bit article for more info), the cost of moving data to and from each CPU can be significant. To borrow a factory metaphor from Photoshop co-architect Russell Williams, "The workers run out of materials & end up standing around." The memory bottleneck means that multi-core can’t make everything faster, and we’ll need to think about doing new kinds of processing specifically geared towards heavy computing/low memory usage. Because Russell has forgotten more than I will ever know about this stuff, I’ve asked him to share some info and insights in the extended entry. Read on for more. Sometimes it’s the smallest, weirdest things that drive feature development. In the case of the new Quick Selection Tool & Refine Edge command*, hair loss played a key role. As of this past summer, Photoshop engineers Jeff Chien and Gregg Wilensky had been cranking away on these tools for a while & had them working well for hard-edge selections. As luck would have it, Jeff’s mane is a little thin on top, and Gregg is more folliclularly challenged. So, when Jeff returned from vacation to Taiwan, he was rather unhappy to find that Quick Selection was selecting only his head, missing the wispy bits of hair on top. As he proclaimed while making a quick whiteboard self portrait, "I need to keep all the hair I’ve got!" *For a video intro to the tools, you can consult Deke McClelland or Dave Cross. Bill Perry, who manages global developer relations for mobile and devices at Adobe, has posted a quick walk-through of creating & previewing artwork using the Photoshop CS3 beta together with the new Adobe Device Central. ADC lets you browse among device profiles*, then preview your artwork on the devices while simulating screen glare, changes to backlighting, and more. I have to say, I’m really glad to see mobile authoring get some love and attention at Adobe. It’s not that the company didn’t have ideas and tools prior to the Macromedia integration; in fact, GoLive included a variety of mobile emulators & authoring tools. It’s just that we could not, for the life of us, adequately get customers’ attention. I always envied Macromedia’s resolve to make its work known & would rant to fellow PMs: "Look at these guys: they’re giving away a plasma TV to whoever creates the best content with their tools. 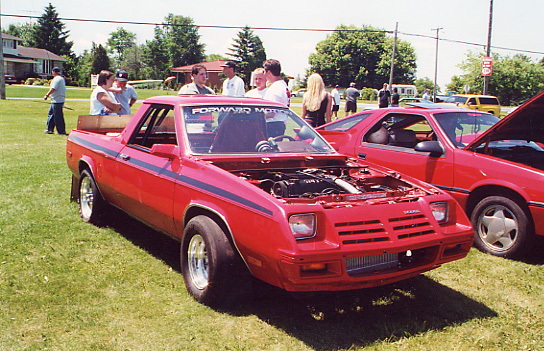 What do we offer–an ’82 Dodge Rampage and half a can of Schlitz?" Now, however, we have a chance to bring the tools together to form an end-to-end solution. I’m very curious to see what people will create, and where we can take these tools going forward. The NYT has posted its Year in Pictures, featuring images of war, politics, sports, and more. It’s amazing how quickly events can fade from our (or at least my) consciousness, often just months after they occur. MSNBC has some terrific galleries from this past year. (Bet you’ve never seen a bull doing a headstand before.) See also Time’s collection. Chernobyl is the subject of an intense and difficult portfolio from Paul Fusco. I found it among Slate’s excellent collection of interactive essays from Magnum photographers. See also Martin Parr’s take on the "flotsam and jetsam of the Western world."